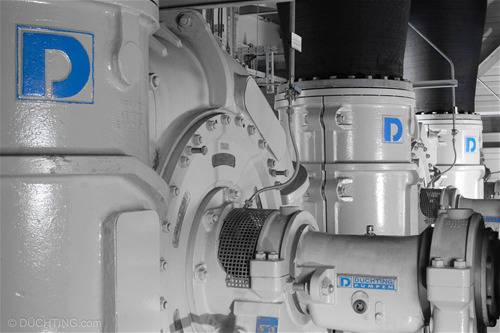 DÜCHTING PUMPEN is a privately owned 3rd generation German company with 80 years of experience in the field of advanced centrifugal pumps for use in the Flue-Gas Desulfurization, Boiler Feed Water, Sea Water Desalination, Mining and Chemical industries. 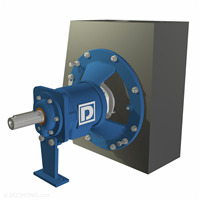 Available in retrofit design to allow for easy replacement of existing absorber recycle pumps with minimum modifications required. 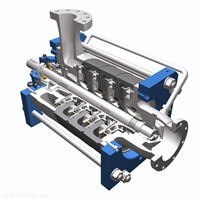 Handling of clean or slighly polluted, chemically neutral or aggressive liquids. Carefully selected depending on the application and adapted to the respective conditions. Available in almost any metal from cast iron to SUPER DUPLEX stainless steel. SICcast® is comprised of Silicon carbide (SiC) in a patented mixture with Epoxy resin that is cast into precision moulds under vacuum. The final material is completely corrossion resistant and exhibits a hardness close to daimonds, requiring the fittings to be machined with diamond tools. Thanks to the temperature-controlled casting process, parts of up to 8 tons can be cast. This material is extremely wear resistant, temperature insensitive and shockproof. 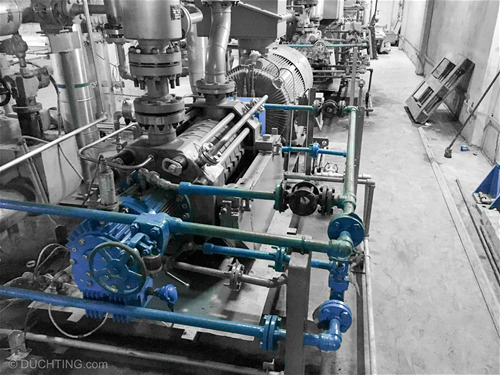 It is mainly used in heavy conditions such as in flue gas desulfurization of coal-fired power plants, incineration plants, fertilizer production, titanium dioxide and iron oxide production. SIConit® is a silicon carbide coating compound for the repair and protection of metallic surfaces exposed to abrasion, corrosion and acids with a pH-value of 0 - 12. SIConit has a very high silicon carbide content for use in extremely abrasive operational conditions where complex and costly repairs are the norm. The compound can either be used to completely rebuild worn metal surfaces or be used as a preventative coating, often outperforming the original metal in terms of abrasive stability. SIConit® can be used in place of metal applications, tiling, rubber backing and other coatings. SIConit coatings are available with various silicon carbide grain sizes, offering unique application and performance characteristics.